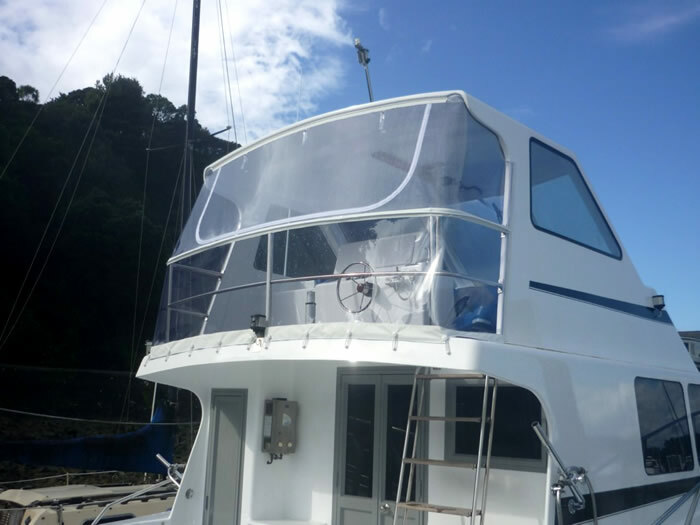 Boats can be costly to maintain, so it's worth getting top quality boat covers to protect your investment from water, wind and sun. 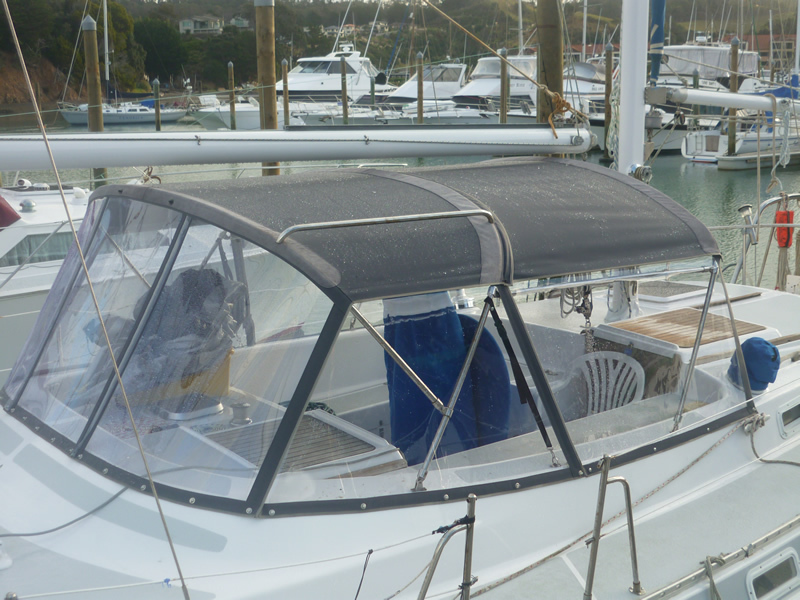 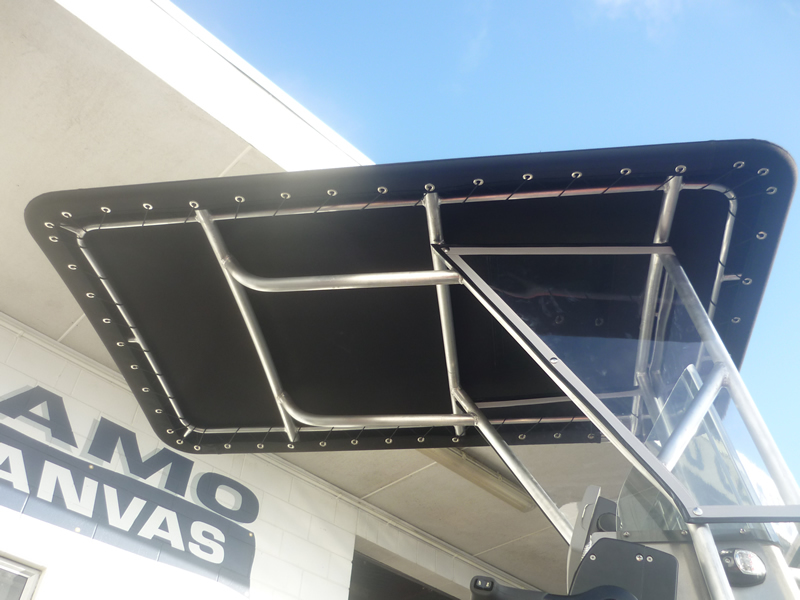 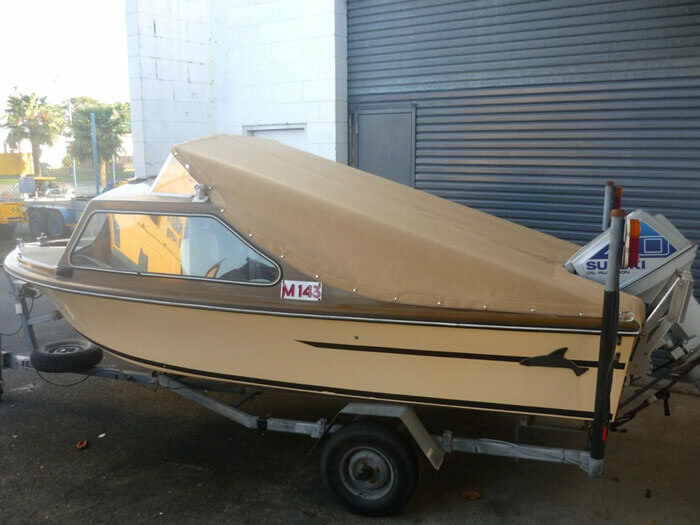 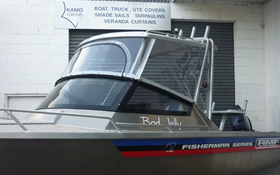 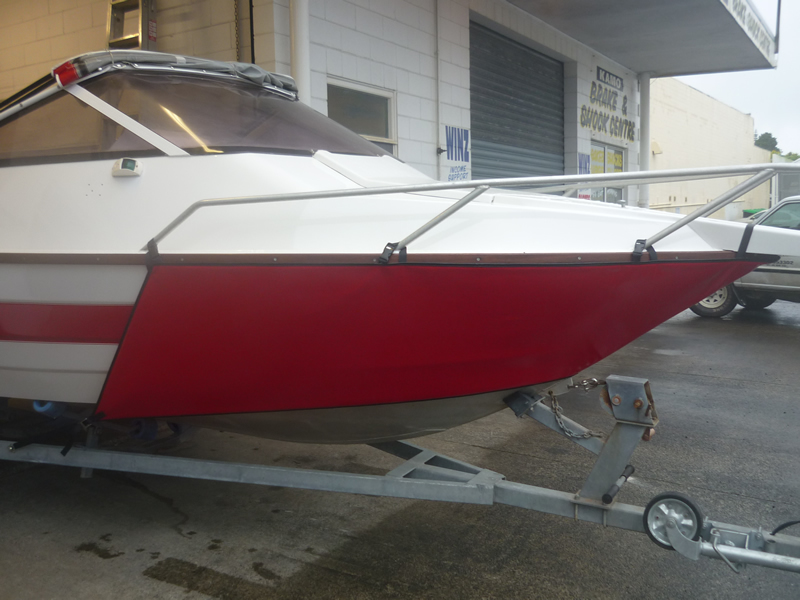 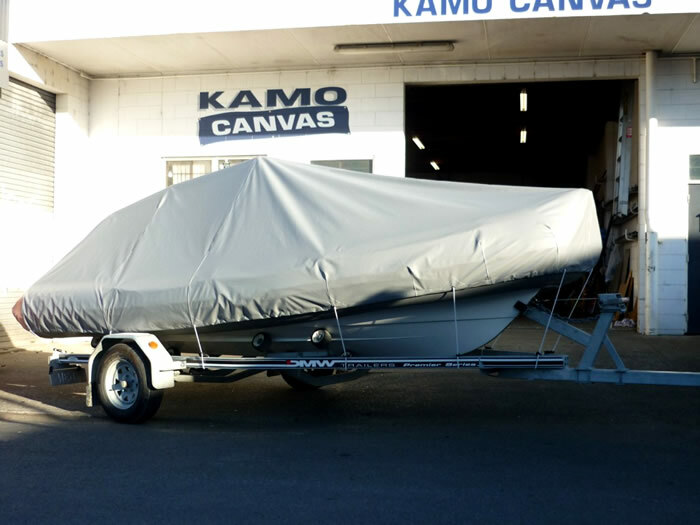 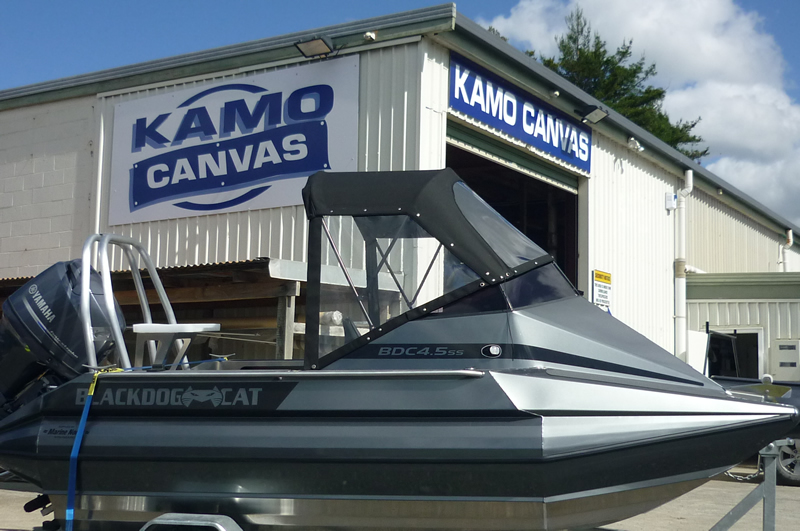 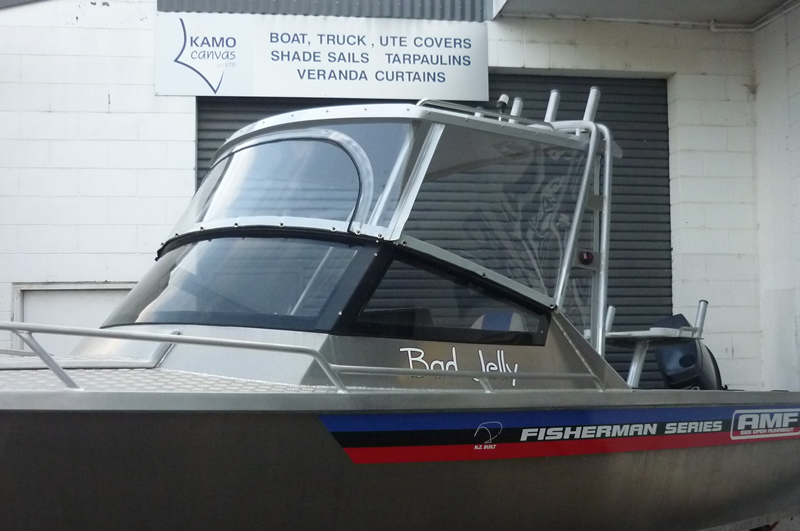 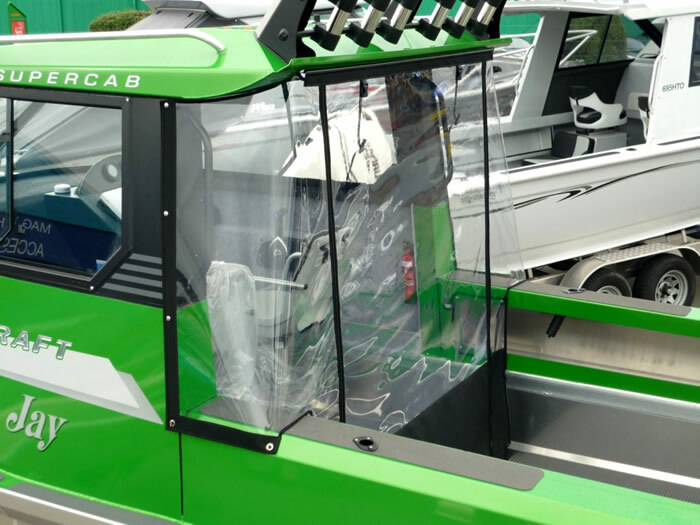 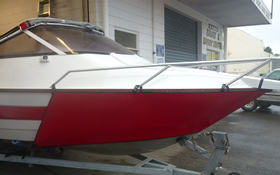 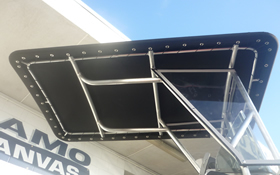 Kamo Canvas specialise in boat covers and because every boat is different we custom make all our marine covers to ensure a great look and fit. 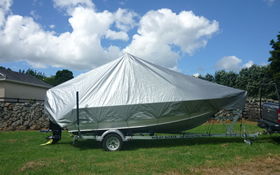 As well as protecting your boat from the elements it is important to get a cover to protect yourslef from the conditions when out boating. 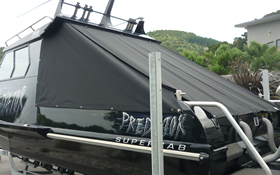 We will discuss your needs and give you a choice of quaility fabric to suit each type of cover. 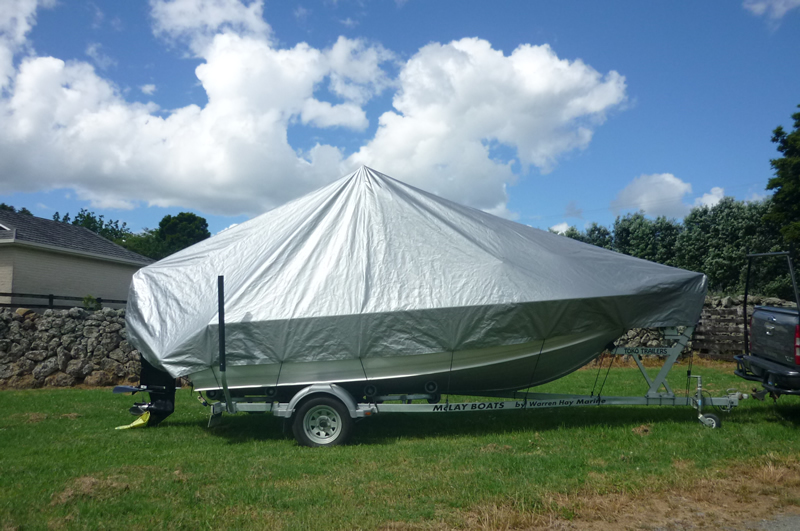 Because our covers are custom made we will reinforce fixing points and points of strain, also we make sure of water run-off on covers. 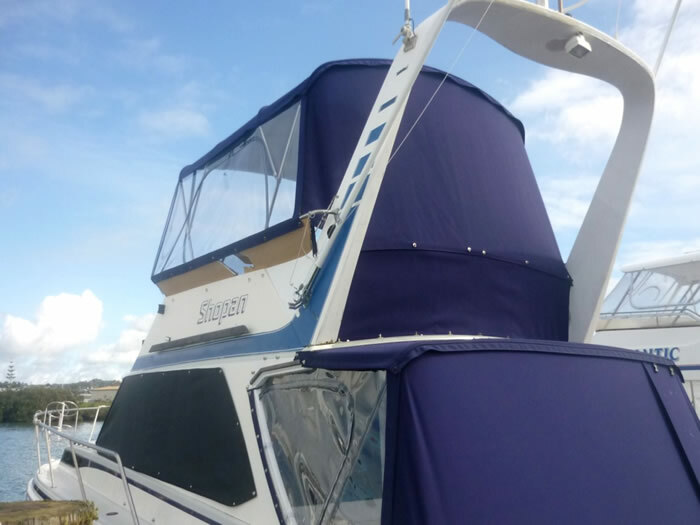 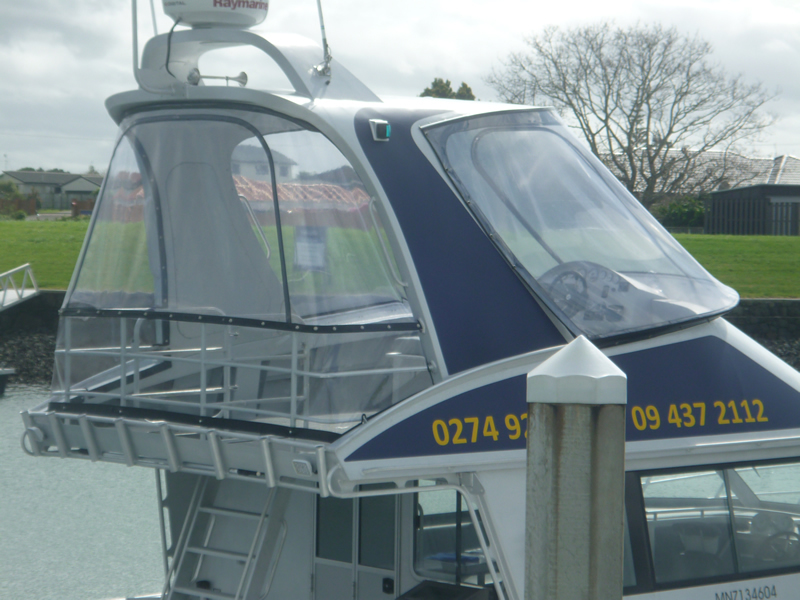 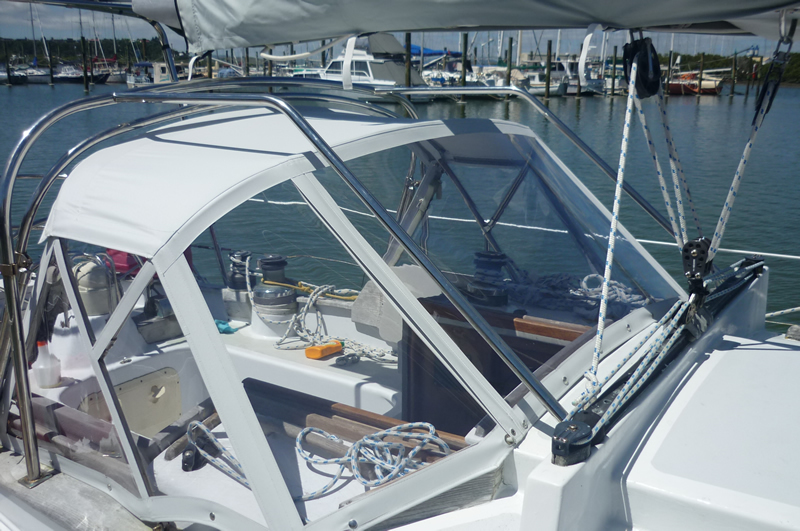 Marine upholstery needs to be able to stand up to sun, wind and saltwater in pretty harsh conditions. 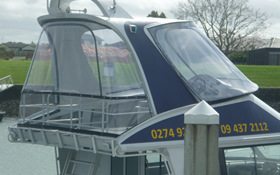 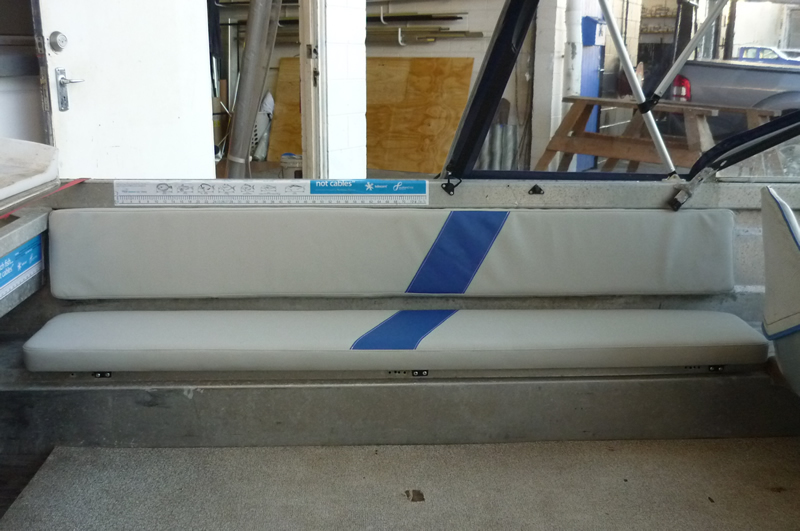 We have a range of boat upholstery that will do you proud for years. 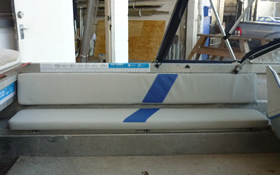 With our experience and advice, your upholstery will look great! 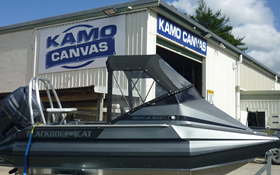 Kamo Canvas also make game fishing harneses and sea anchors to your exact specifications. 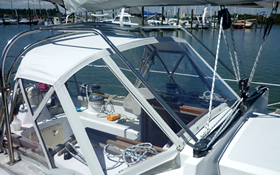 Get your harness or sea anchor made to fit you. 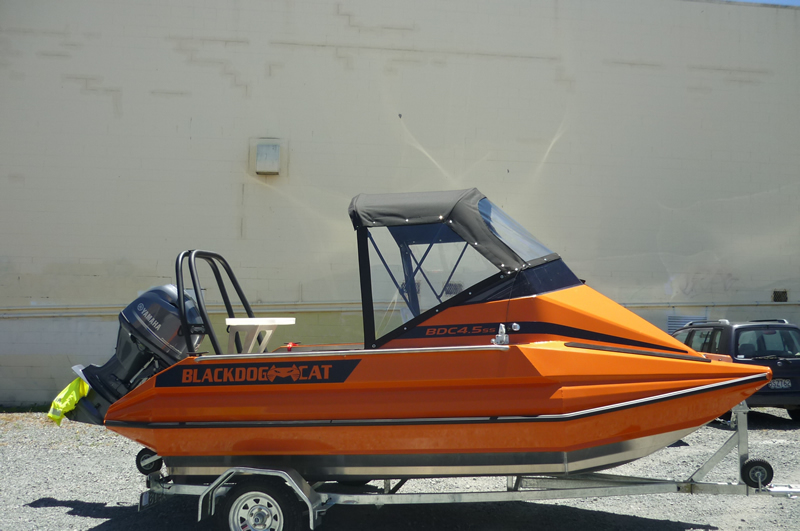 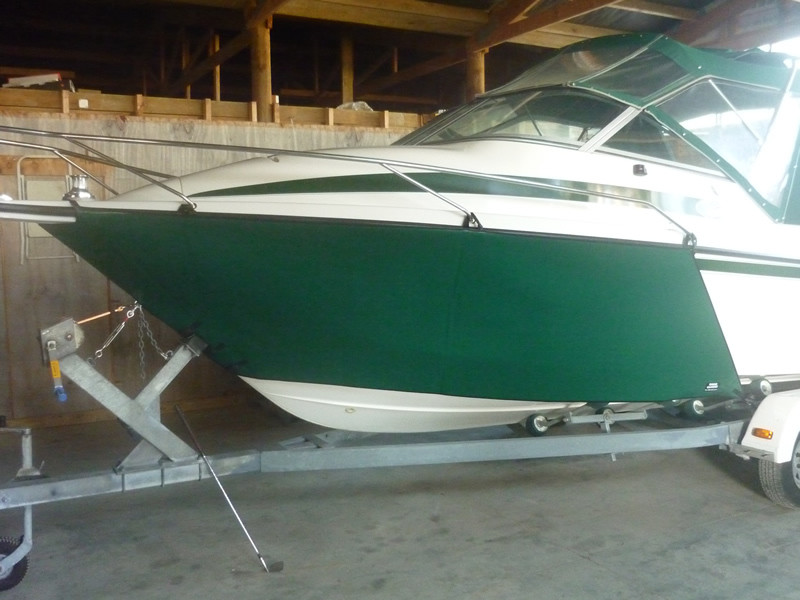 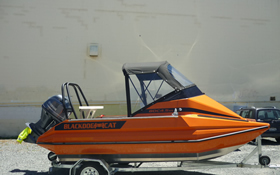 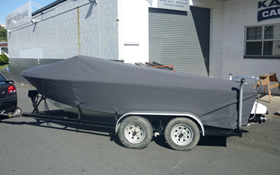 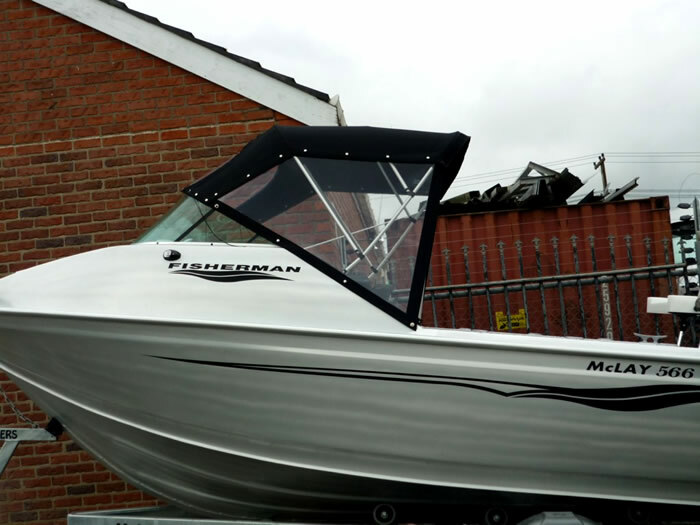 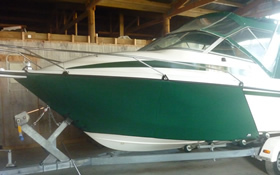 Boat covers should be properly secured to your boat or trailer. 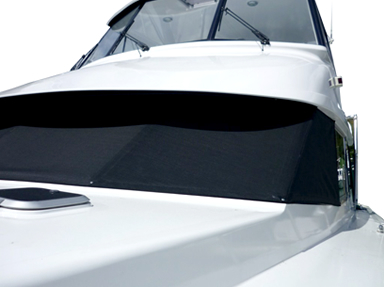 A loose cover or stone guard will flap in the wind and be vulnerable to tearing. 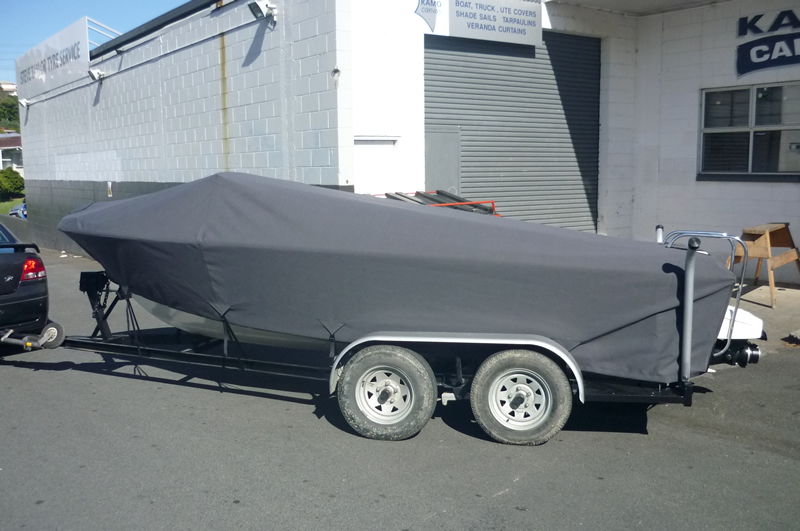 this is particularly true for covers on a boat being towed at speed on the motorway. 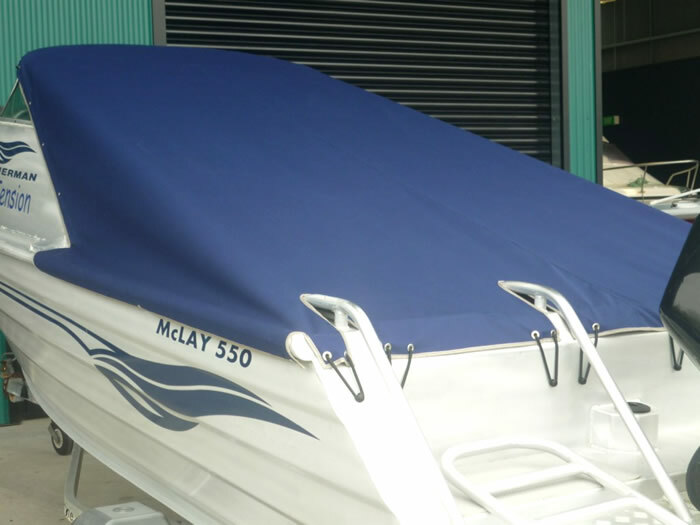 If your boat is stored outside, try to avoid leaves or other organic material from collecting on the cover. 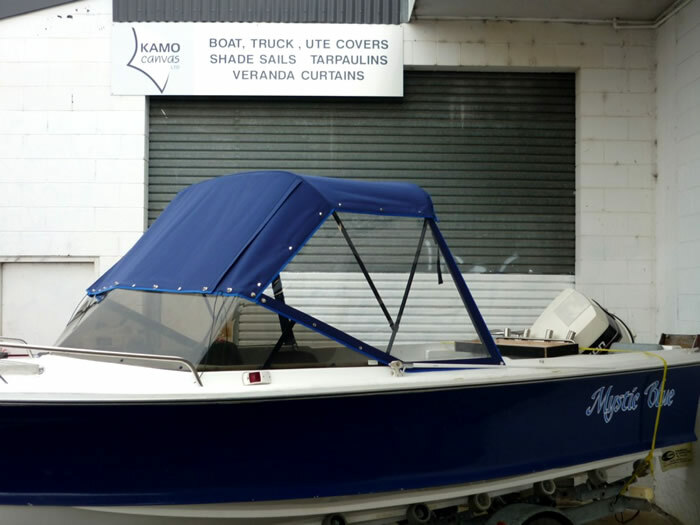 Rotten vegetation can cause staining and damage the fabric. 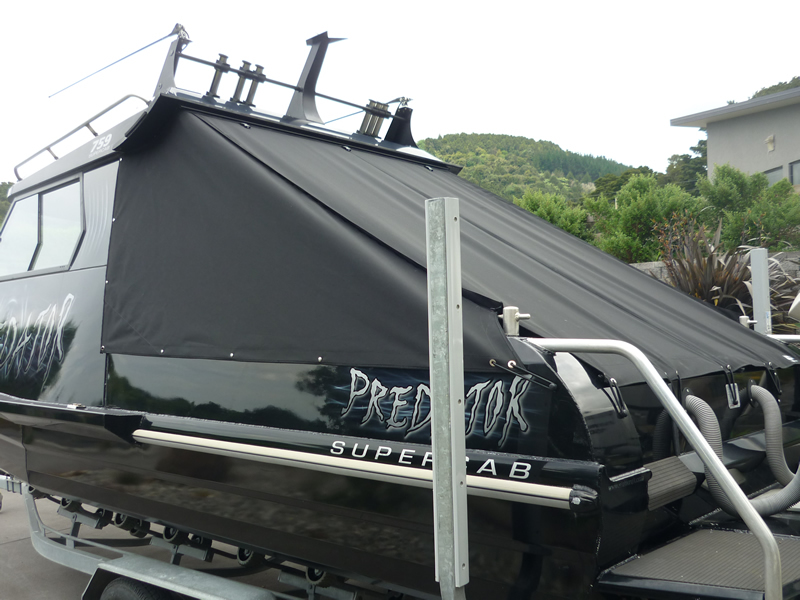 Always allow boat covers to dry properly before folding away for storage. 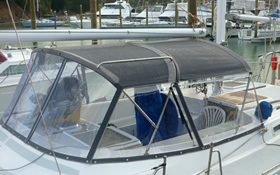 A damp cover will rot and also stink if left long enough!